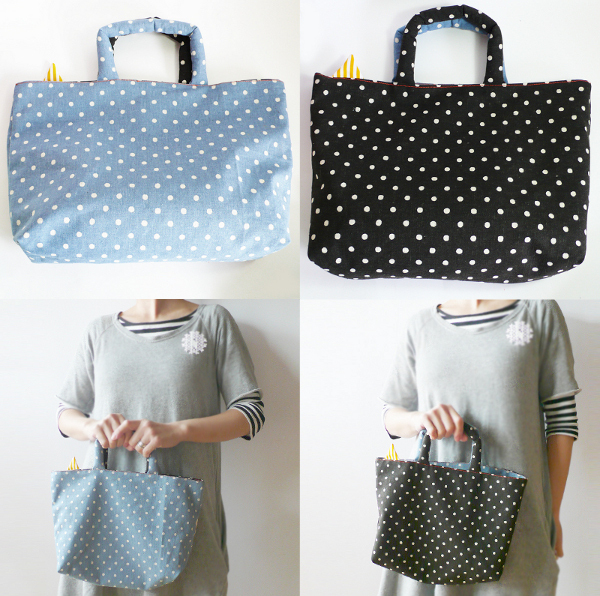 an all-time-favorite polka dots in pale blue on one side and black on the other. and a little yellow striped triangle detail and monocircus' label on the side. or when you need to carry the extra little items with you to your luncheon parties or events. Mothers of all ages will love this!